Zimbabwe produced enough food to feed its people for the first time since adopting a controversial policy to strip land from white farmers, President Robert Mugabe told parliament on Tuesday. From the year 2000, hundreds of white farmers were evicted from their farms, often violently, and land was handed to allies of the ruling ZANU-PF party and in many cases became neglected and unproductive. Zimbabwe had previously been known as the “breadbasket” of Africa. “The country has this year succeeded in regaining its food self-sufficiency status on the back of the good rainy season and the introduction of command agriculture,” Mugabe said as he opened parliament. A bumper harvest of maize helped Zimbabwe regain its food independence, he added. Mugabe has previously acknowledged that handing vast tracts of land to inexperienced black owners was a mistake. The Confederation of Zimbabwe Retailers warned just last week that the acute shortage of foreign currency could cause severe shortages of essential staples. But on Tuesday Mugabe said he was hopeful that the rejuvenated agricultural sector would lift the nation’s moribund economy which has been plagued by a dire shortage of hard currency and soaring unemployment. Zimbabwe’s legislators are starting their final session before presidential and parliamentary elections set for next year. 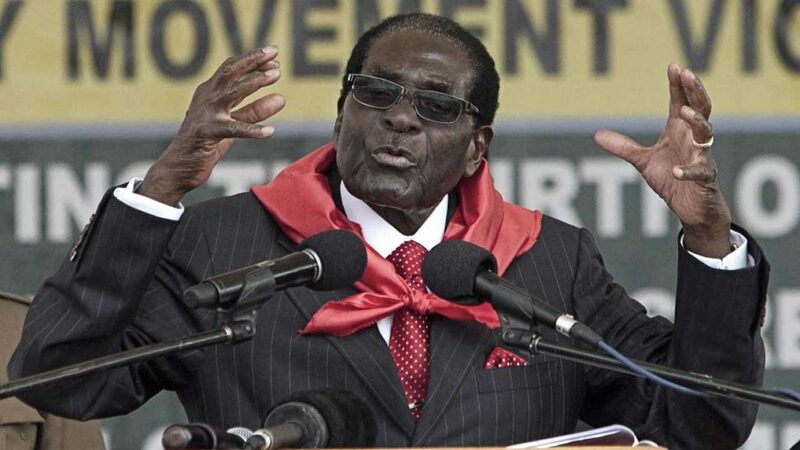 Mugabe who turns 94 next year has already been named as the presidential candidate for his ZANU-PF party.